Cape Ann provides welcome habitat for a menagerie of creatures beautiful, from the tiniest winged wonder to our region’s top predator, the Eastern Coyote. Last year I posted a Cape Ann Wildlife Year in Pictures 2016 and I hope you will find the wildlife stories of 2017 equally as beautiful. Click on the image to find the name of each species. Winter: Only partially frozen ponds allowed for dabblers and divers such as Mallards, Mergansers, and Buffleheads to forage at the freshwater. Mr. Swan had his usual entourage of quwackers and daily heads to the other side of the pond to get away for his morning stretches. Sightings of Red-tailed Hawks and other raptors abounded. 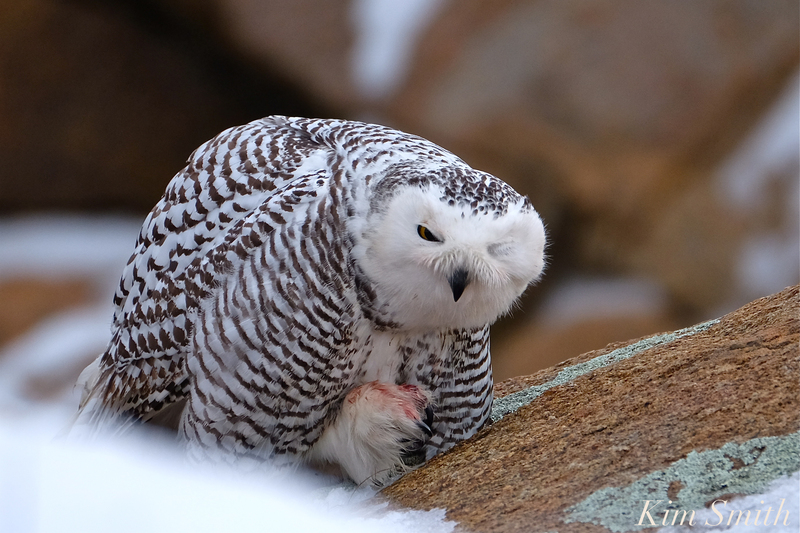 Although photographed in Newburyport, the owl photos are included, well, just because I like them. An Eastern Screech Owl (red-morph) was seen daily perched above a playground and Barred Owl sightings too were reported throughout the winter. Raptors live on Cape Ann all year round but are much easier to see in winter when the trees are bare of foliage. The beautiful green eyes of the juvenile Double-crested Cormorants were seen wintering at both Niles Pond and Rockport Harbor. And during a warm February day on a snowless marsh a turkey bromance shindig commenced. 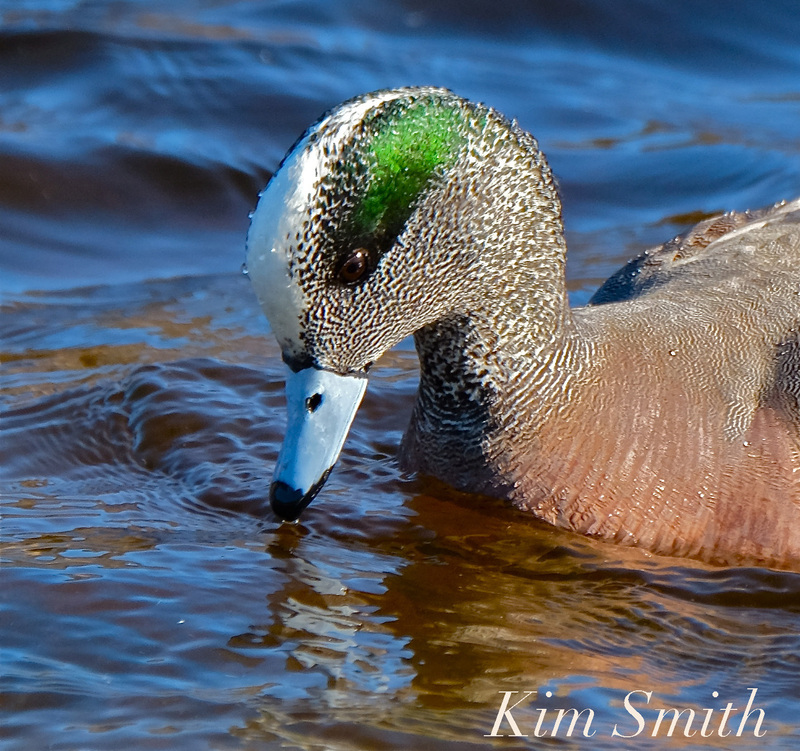 In early spring, a male and female American Wigeon arrived on the scene making local ponds their home for several weeks. In the right light the male’s electric green feathers at the top of his head shine brightly and both the male and female have baby blue bills. Meadow and marsh, dune and treetop were graced with the heralding harbingers of spring with photos of a Red-winged Blackbird, a pair of Cedar Waxwings, Northern Mockingbird, Brown Thrasher, Eastern Towhee, Eastern Kingbird, Tree Swallow, and Grackle included here. The Great Swan Escape story made the news in Boston as Mr. Swan eluded captors for hours. He had re-injured his foot and someone took it upon themselves to call the animal rescuers, which would have surely meant death for our beloved 27-year old swan if he had been wrangled into captivity. M is clearly for Migration through Massachusetts and the month-long arrivals and departures did not abate. Short-billed Dowitchers, winsome Willets, Yellow Legs, and Ruddy Turnstones are just some of the migrating shorebirds spied on Cape Ann beaches and marshes. 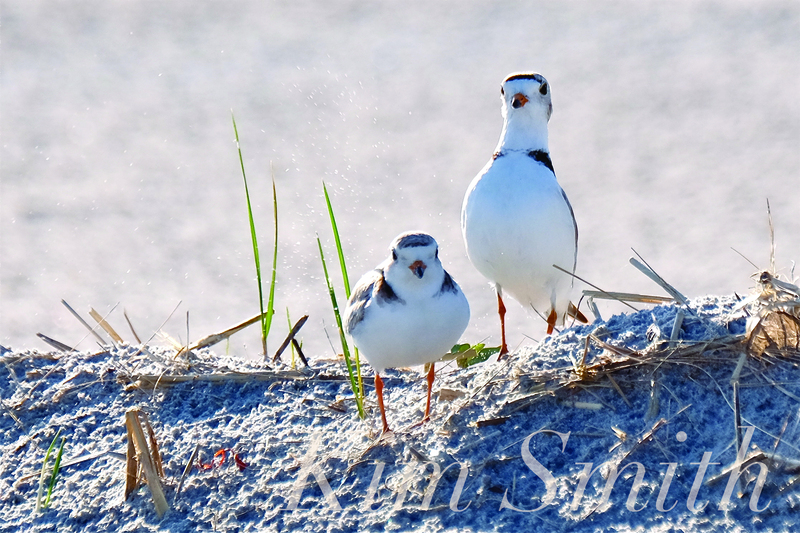 The best news in May was the return of the Piping Plovers. 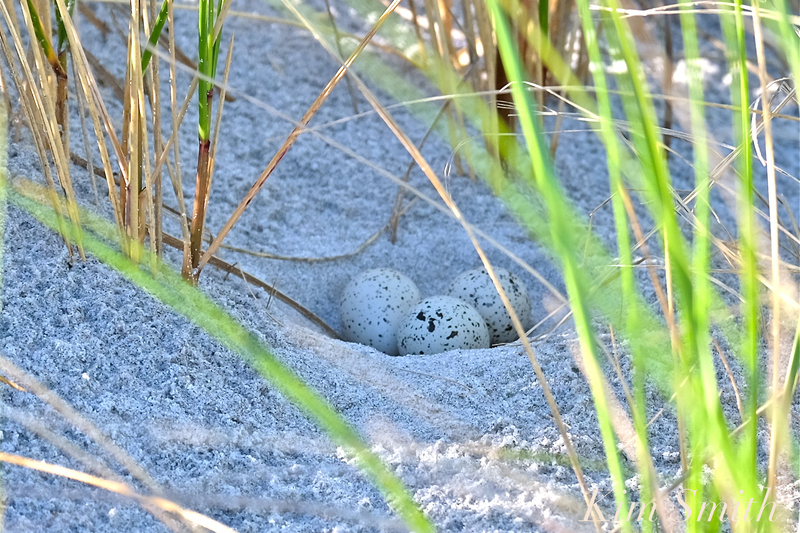 Of the five or six that camped at Good Harbor Beach to investigate potential nesting sites, one pair bonded and built their nest mere yards from the nesting pair of last year. Could it be the same pair? The nesting Piping Plover story took up much of the spring and by early summer four little Piping Plover chicks hatched over Fiesta weekend. Hundreds of photos and hours of film footage are in the process of being organized with a children’s book and documentary in progress. 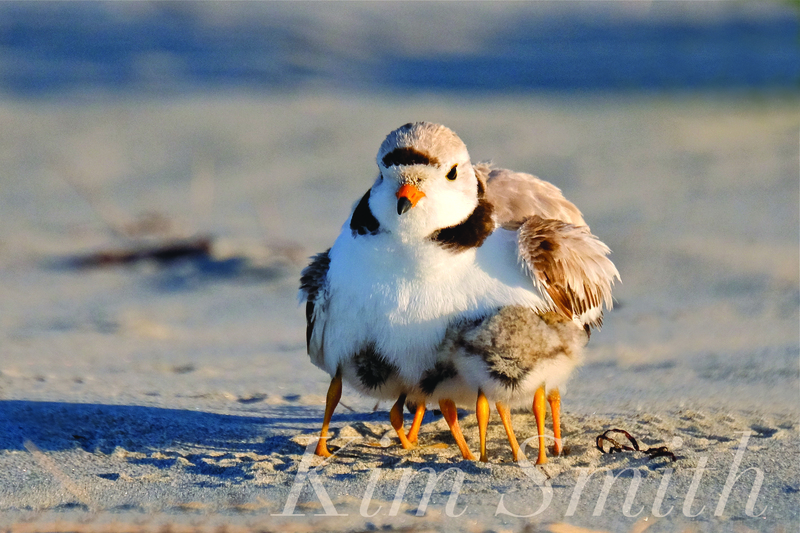 The survival of one Piping Plover chick was made possible by a wholesale community effort, with volunteers covering all hours of daylight, along with Mayor Sefatia and her team, Ken Whittaker from the conservation office, Chief McCarthy, and animal control officer Diane Corliss all lending a hand. Sadly, several Northern Gannets came ashore to die on our Cape Ann beaches, struck by the same mysterious and deadly disease that is afflicting Northern Gannets in other regions. During the summer season they are typically at their North American breeding grounds, which are six well-established colonies, three in the Gulf of St. Lawrence, Quebec, and three in the North Atlantic, off the coast of Newfoundland. 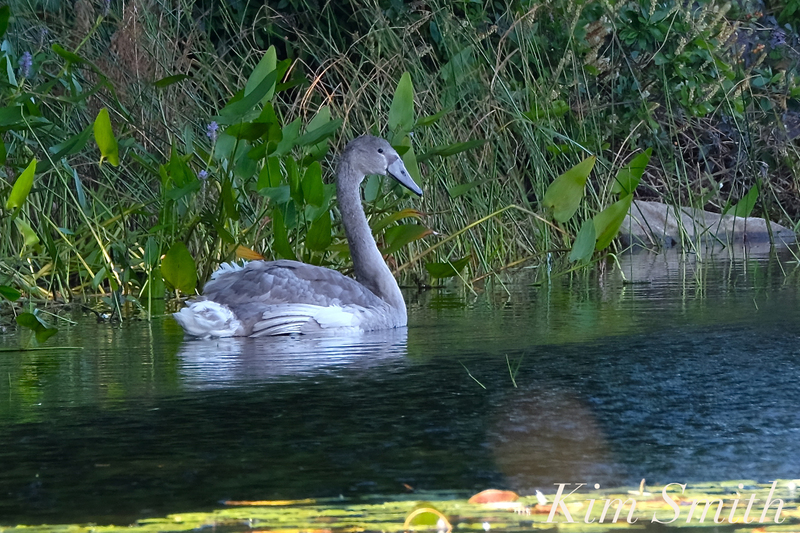 An orphaned swan was introduced to Niles Pond, much to the dismay of Mr. Swan. Eastern Point residents Skip and Lyn kept watch over the two while they reluctantly became acquainted. By mid-July many of us were seeing Monarchs in much greater numbers than recent years. Nearly every region within the continental United States experienced a fantastic Painted Lady irruption and butterflies of every stripe and polka dot were seen flitting about our meadows, fields, and gardens. 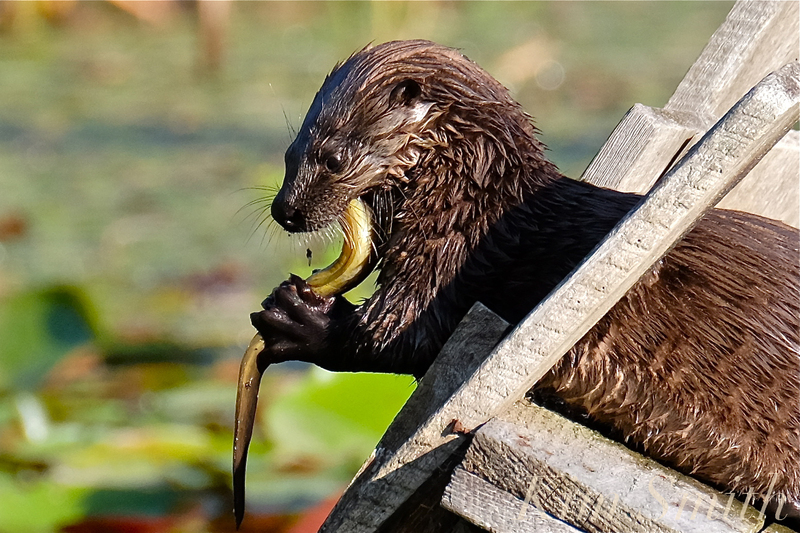 The tadpoles and froglets of American Bullfrogs and Green Frogs made for good eating for several families of resident otters, who are making their homes in abandoned beaver lodges. 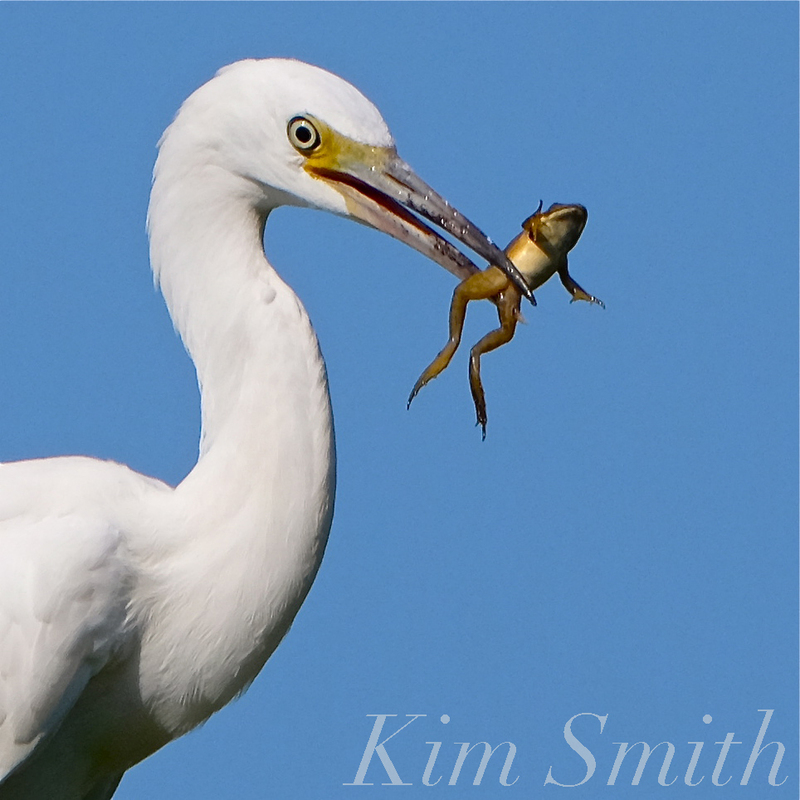 Little Blue Herons too, find plentiful frogs at our local ponds. In early August we see the Tree Swallows begin to mass for their return migration. They find an abundance of fruits and insects in the dunes, headlands, and beaches. The Cedar Waxwings and Ruddy Trunstones were back again observed foraging on their southward journey, along with myriad species of songbird, shorebird, diver, and dabbler. 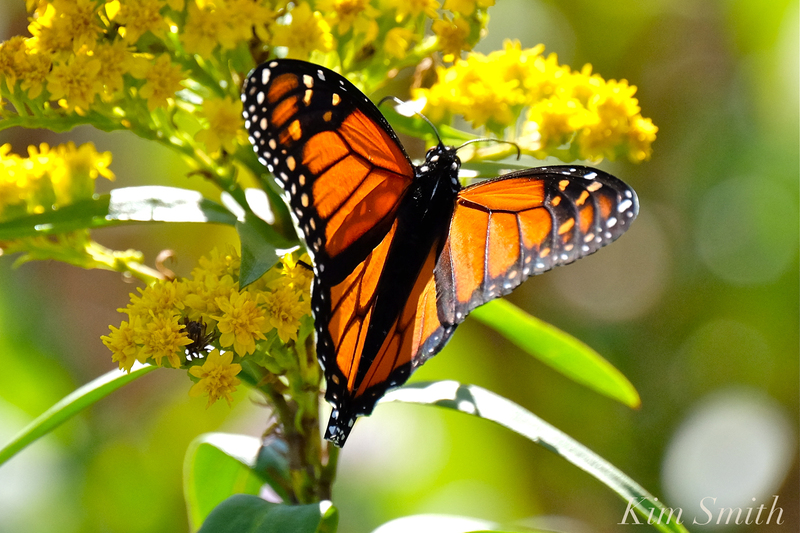 The Late Great Monarch migration continued into the fall as we were treated to a wonderfully warm autumn. Waves and waves of Monarchs came ashore and more butterflies arrived on the scene including new batches of Painted Ladies, Clouded Sulphurs and Common Buckeyes (nothing common about these beauties!). A pair of Northern Pintails called Cape Ann ponds and coves home for nearly a month while we seem to be seeing more and more raptors such as Red-tailed Hawks, Osprey, Bald Eagles, and Peregrine Falcons. Juvenile herons of every species that breeds on Cape Ann lingered long into the fall—Black-crowned Night Herons, Yellow-crowned Herons, Great Blue Herons, Snowy Egrets, Great Egrets, and Green Herons. Just as Mr. Swan and the Young Swan appeared to be warming to each other, the Young Swan, who has yet to learn to fly, became trapped in the ice at Niles Pond. He was rescued by caretakers Lyn and Dan and is now spending the winter at a cozy sanctuary built by Lyn and friends. With its expansive marshes and dunes, bodies of fresh clear water, saltwater coves and inlets, and geographic location within the Atlantic Flyway, 2017 has been a banner year for Cape Ann’s wild and wonderful creatures. I can’t wait to see what awaits in 2018! This entry was posted in Birds, Birds of New England, Cape Ann Wildlife, Gloucester, Lepidoptera ~ Butterflies, Skippers, and Moths, Life at the Edge of the Sea, Monarch Butterfly (Danaus plexippus), Monarch Butterfly Migration, Native Plants, Niles Pond, North Shore Boston, Photography, Piping Plover, Rockport, Songbirds, Swallowtails, Swans (Cygnus olor), Wildflowers and tagged American Bullfrog, American Peregrine Falcon, American Wigeon, baby kildeer, Barred Owl, Black Crowned Night Heron, Black Swallowtail, Bonaparte’s Gulls, Brandt Geese, Brown Thrasher, Canis latrans, Cape Ann Wildlife, Cedar Waxwing, Charlotte, Clouded Sulphur, Common Buckeye Butterfly, Common Grackle, Common Tern, Coyote, Cygnets, Double-crested Cormorant, Easter Screech Owl Red Morph, Eastern Kingbird, Eastern Tiger Swallowtail, Eastern Towhee, Eastern Wild Turkey, female cardinal, Female Northern Pintail, fox digging for plover eggs, froglet, Great Blue Heron, Great Cormorant, Green-eyed Wasp, Honey Bee, juvenile Little Blue Heron, Kildeer, Male Northern Pintail, Mallards. Juvenile Red-tailed hawk Mute Swan, Monarch butterfly, North American Beaver, North American River Otter, Northern Gannet, Northern Mockingbird, Osprey, Painted lady, Piping Plover, Red Fox, Ruddy Turnstone, Seagulls, Short-billed Dowitchers, Snowy Owl, Spring Azure, tadpole, Tree Swallow, Tree Swallows massing, White-tailed Deer Coat, Willets, Yellow Heron, YELLOW LEGS, Zinnia on January 17, 2018 by Kim Smith.